Six teams will compete in the 2019 ICC World T20 Europe Final as their World Cup dream continues. Denmark cemented first place in Group A with a convincing win over France. Denmark set an imposing target of 176 for 5, despite the early loss of the openers. France struggled in the reply, losing early wickets, ending on 103 for 8 from their 20 overs. The crucial clash between Austria and Germany came down to the last ball, as Austria set a competitive 142 for 6. Germany struggled in the chase, losing wickets at important moments. A late flurry of runs kept their chances alive, however, a spectacular piece of boundary fielding denied them victory as the intended 6 was flicked back into the field of play with a full stretch dive, securing victory for Austria by 2 runs. Portugal won their first match of the event, defeating Cyprus by 5 wickets. Cyprus struggled to find the boundary in their innings of 114 for 8, losing wickets at regular intervals, attempting to up the run rate. Portugal paced themselves in their innings, most batters contributing as they worked their way to the win. Group leaders Italy made short work of the Isle of Man total, scoring the winning run in the 14th over of their innings. Italy finish first in the group after staying unbeaten throughout the event. Isle of Man started positively in their batting innings. A big score seemed on the cards when the 2nd wicket fell for 53 in the 6th over. However, they were unable to capitalise as wickets tumbled, the last wicket falling in the 20th over. The Italian batters were determined to finish early as they found the boundary on several occasions and surpassed the total in the 14th over. 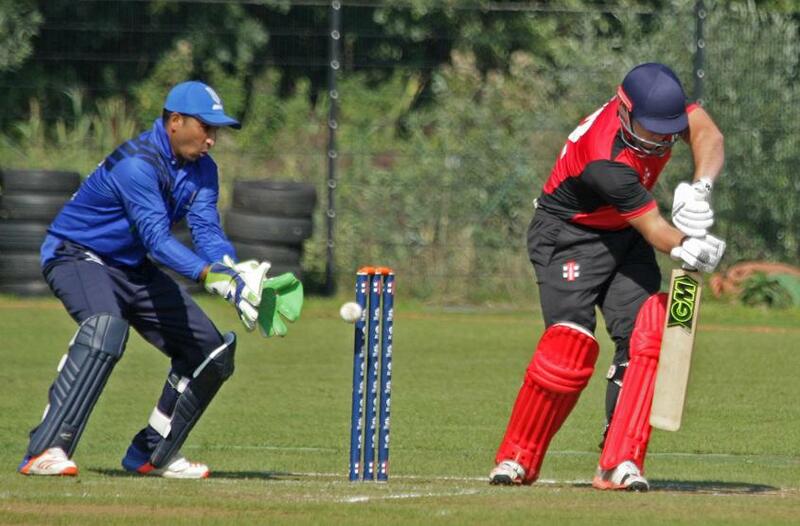 Jersey defeated Finland to secure promotion to the ICC World T20 Europe final. It was a strong display with the ball that secured the win for Jersey as they struggled to a total of 130 for 8. Finland had restricted the Jersey score with some exceptional fielding, but were outdone by the Jersey bowlers in the reply. Belgium and Spain competed for third place in the closest match of the day. Spain restricted the Belgium score on a good batting pitch, with some strong performances in the field. Belgium fought hard in the reply, taking the game in to the last over. A late flurry of wickets could not prevent Spain from scoring the winning run in the final over. Guernsey secured the final qualification place with an emphatic win over Czech Republic. 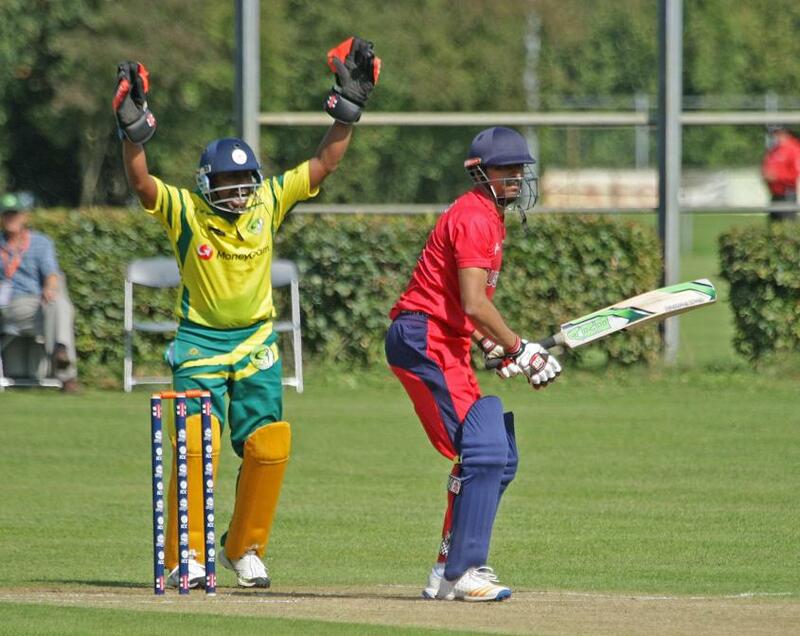 Batting first in Voorburg, Guernsey produced one of the highest scoring innings of the tournament with 181 for 4. Needing 9 runs per over for the win, the Czech Republic were forced to take risks in their batting. This didn’t pay off as the Czechs lost early wickets and could not gather momentum in the chase. The Czech Republic score was left stranded on 59 in the 16th over. Norway finished top of Group C with a win over Israel. Batting first, Norway were bowled out for 143 in the 20th over. 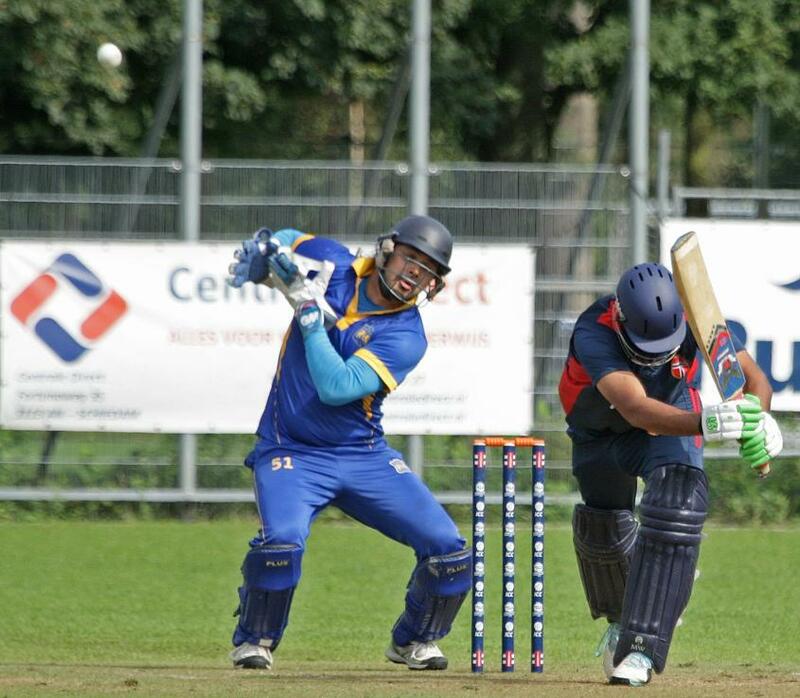 Despite solid contributions from the Israel middle order, they were unable to chase the runs in Amstelveen. Israel were eventually bowled out for 119 in the 19th over.